As usual, you can find them all on my keepers board on pinterest. Beatty’s Chocolate Cake by the Barefoot Contessa was Kate’s birthday cake — made into a 13×9 and decorated to match her theme. It was a hit with both adults and kids. Brined and Grilled Pork Loin Roast from Grilling Companion: Skipped the bay leaf, used mostly rosemary and thyme and grilled over charcoal. The meat was delicious sliced the first day and also shredded for BBQ sandwiches. Chipotle Chicken Taco Salad adapted by Nutmeg Notebook from Cooking Light was tasty and filling and everybody ate it. Poor Girl Eats Well’s Mediterranean Garbanzo Salad was a great side to grilled chicken, filling and healthy. Turkey Stuffed Zucchini from Skinny Taste was good enough I’ve made it twice already and had leftovers both times. My squash hater does detect the zucchini in the filling, even though I cut it back quite a bit. 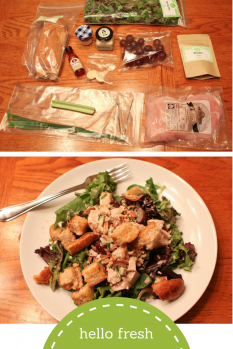 Chinese Chicken & Cabbage Salad from Design Sponge: Made it twice. It’s in the summer rotation. We’re all fans. Dijon Tuna Burgers by Serious Eats are the best tuna burgers I’ve tried. Cheap, easy, healthy and my tuna hating child actually ate about half a burger, which was a dinnertime miracle. Monster Cookies are always a hit with kids, and this version by Recipe Girl is easy to make gluten free which makes it a good recipe to have around. Just don’t overcook them. Multiply Delicious certainly didn’t invent the wheel with this Balsamic Chicken & Tortellini Salad, but if you need summer suggestions, it was easy and quite good. Peanut Butter Frosted Brownies from Love and Olive Oil: I used regular sea salt in place of fleur de sel and they still came out fantastic and were a potluck hit. 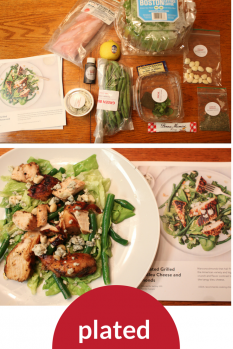 Spinach Salad with Chicken, Avocado, Pine Nuts and Goat Cheese is another Recipe Girl offering we enjoyed. We eat a lot of salads in the summertime and it’s good to get new inspiration or be reminded of combinations we’ve enjoyed in the past. Several people have told me recently that these are their favorite posts, and I am eager to please you, gentle readers. You can find them all on my keepers board on pinterest. Black-Eyed Pea Nachos from Whole Foods Market: inexpensive, quick, easy, meatless and my whole family liked them. So we’ll be making them again. Chicken & Roasted Broccoli Salad with Goat Cheese from Perry’s Plate: light and tasty, we all enjoyed this. I made some couscous and mixed it in with my leftovers and it was pretty decent cold, too. 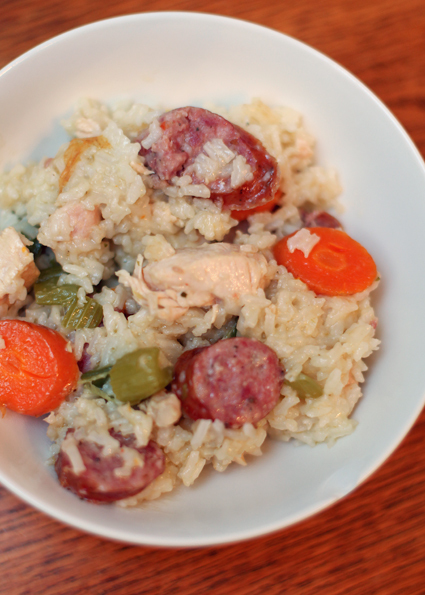 Jambalaya (pictured below) is an old recipe of mine I’ve tweaked slightly. It’s my favorite excuse for making chocolate bread pudding. Dave Lieberman’s Noodle Kugel: if you’ve never had it, you ought to try it. My friend Blakely and I made some for an event at school and I think it was a hit. Spinach and Cheese Strata from Annie’s Eats: I made this for a brunch, and added a pound of sage sausage (cooked, crumbled and layered in between the spinach and cheese.) Personally, I thought it was the best breakfast casserole I’ve ever made, and a bunch of people asked me for the recipe. I don’t think the sausage was necessary, but it was Easter and I wanted it to be filling and rich. Split Pea Soup from Simply Recipes is a must-make if you’ve got a ham hock. I have omitted the leek and it’s still tasty. Today is my sister’s 24th birthday. She is a very good cook and always on the lookout for good recipes. 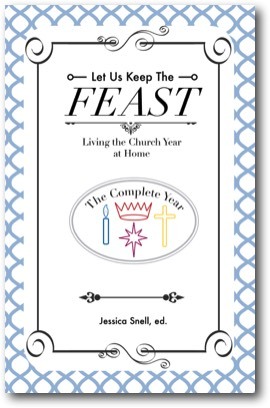 So, this recipe roundup is in her honor. Happy Birthday, Laura! Pinteresters, you can find all these recipes on my keepers board. Beef & Barley Stew with Mushrooms from Simply Recipes was excellent, just what you’d expect from Elise, who is really good with everyday and comfort recipes – elevating them to foodie levels without going overboard. I will certainly make this again. Cilantro Lime Rice from Skinny Taste was a great side for Homesick Texan’s Slightly Fancy King Ranch Chicken (with a corn and black bean salad as well.) It tastes the way I remember Chipotle’s rice tasting, but I haven’t eaten there in ages. I may be the last person on earth to try Momofuku’s Crack Pie (via the LA Times). It was delicious. And a hit when I brought it to a potluck. Taziki’s Friday Pasta may be last (alphabetically) but it is certainly not the least. Thank you to the Birmingham News for obtaining this recipe and Taziki’s for sharing. 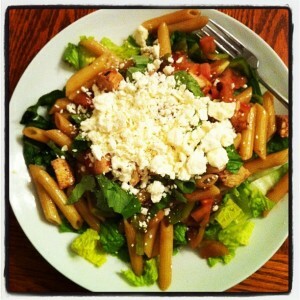 We were craving Friday Pasta something fierce: greens, pasta tossed in vinagrette, grilled chicken, tomatoes, basil and feta. Here’s a picture Michael tweeted of his plate. We were not disappointed. I have not been all that adventurous lately, but here are some recipes we’ve tried. You can find them all on my keepers board. 15-Minute Avgolemeno from Dinner, A Love Story started out a complete success. Until someone asked what was in it and the lemon flavor was then identified and determined to be inappropriate for soup. 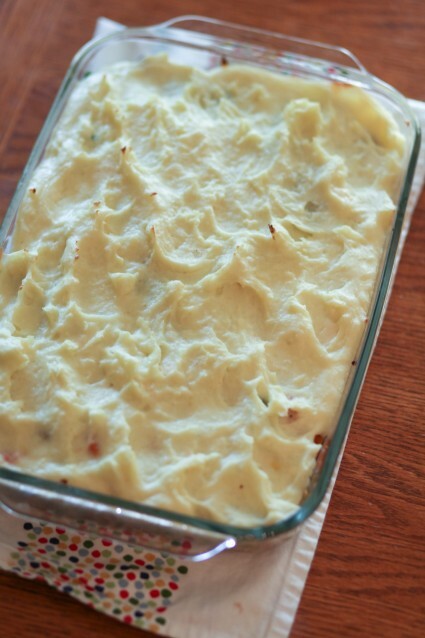 It is so quick and easy, we’ll try it again and see if taste buds can be worn down. Beecher’s Mac & Cheese courtesy of Martha was, as it was billed, the world’s best (or at least the best one I have made.) I don’t make it very often but it feels good to have a go-to recipe when the need arises. It doubled well in a 13×9 for a potluck. One-Bowl Chocolate Cupcakes from Martha are not the best chocolate cupcakes I have ever made, but they are pretty good, and they only dirty one bowl. So I’ve made them twice already. Peanut Butter Icing from the Barefoot Contessa is just delicious on the cupcakes. S’mores Bars from Bakers Royale were very good. Last year I threw some s’mores bars together rice krispie treat-style with golden grahams that I liked quite a bit, but these were tasty in a different way and very easy. I did use a lot more butter than called for, and the crust was still a little crumbly, so be sure to do that by feel rather than amount. I would make them again. 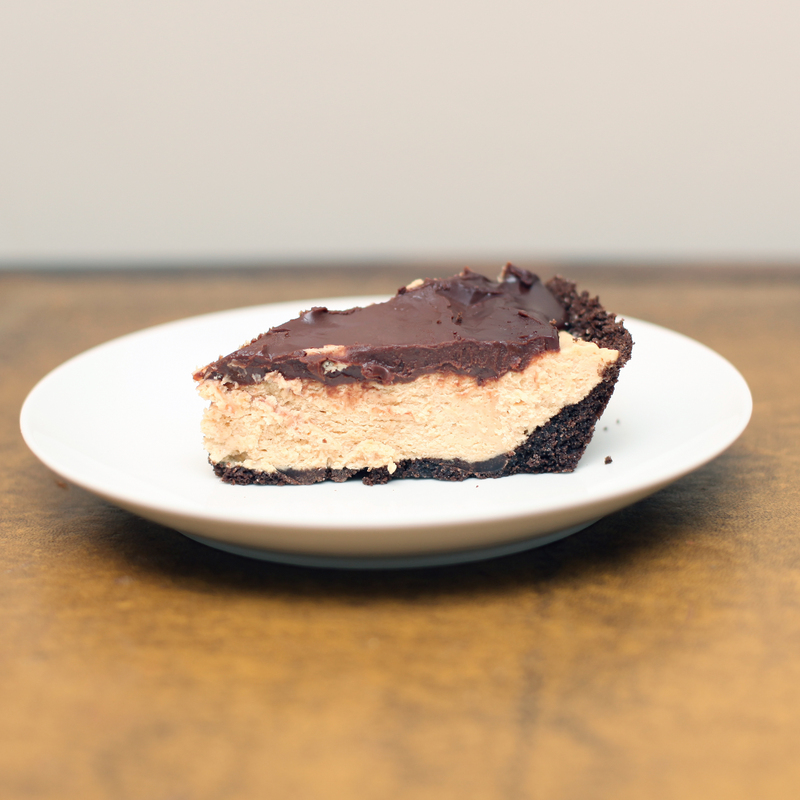 Peanut Butter Cream Pie is one of my tried-and-true simple desserts. It’s not very difficult or time consuming, but it is very tasty. Because chocolate + peanut butter is a classic combo that is always worth coming back to. Preheat oven to 350. Pulse together crust ingredients. Press into pie plate. Bake to set (~10m) and cool. Whip together the whipping cream and sugar, set aside (I use a plate.) In the same bowl, whip together the cream cheese, peanut butter and confectioner’s sugar, then fold in the whipped cream. Fill the pie crust and refrigerate until set. Baked Chicken in Creamy Tomato Sauce from Dinner, A Love Story: Simple, budget-friendly (I subbed ricotta for the marscapone) and everyone ate a big helping. Doubled the sauce and served over pasta. Chicken & Dumplings from Simply Recipes: A cold snap was the perfect opportunity to try this. It won’t be the last time I make it, as it is a solid rendition of a comfort food and we all enjoyed it. Chocolate Chess Pie from Angus Barn: Very good. 1.5x it for a standard pie plate and it still could have been thicker. Pumpkin Cheesecake from Martha Stewart: Subbed brown sugar and gingersnaps in the crust (abt 2:1 graham to gingersnap). Served with homemade caramel sauce and fresh whipped cream. Delicious! Pumpkin Cream Cheese Muffins from Annie’s Eats: Awesome. They seem more fussy than they are, the filling and the topping are really easy. Sweet Potato Casserole from Southern Living: I dubbed this the I Corinthians 9 casserole, all things to all people. With both marshmallows and crunchy cornflake topping, who can resist? You can find these on my keepers board on pinterest, too. Chicken Taco Chili from Redsie: A huge hit. Kate and Lexi declared it the best soup ever. (And we didn’t even add cheese on top.) We don’t have a slow cooker so I used a dutch oven, started it on the stovetop and finished it in the oven. Dark Chocolate Cupcakes with Peanut Butter Frosting from Brown-Eyed Baker: Cupcake was a little dense, but these were really good. The cupcake is not super sweet, and the buttercream is light, airy and very peanut-butter-y. 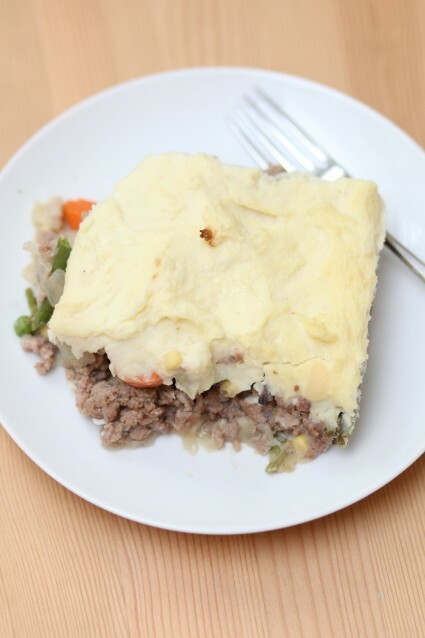 Easy Shepherd’s Pie from Simply Recipes: really basic, but good. Sweet Potato Foil Packet “Tacos” from Perry’s Plate: I really liked these, but the rest of the family could not get their minds around sweet potatoes without cinnamon, etc. You can find each of these recipes on my Keepers board on Pinterest.